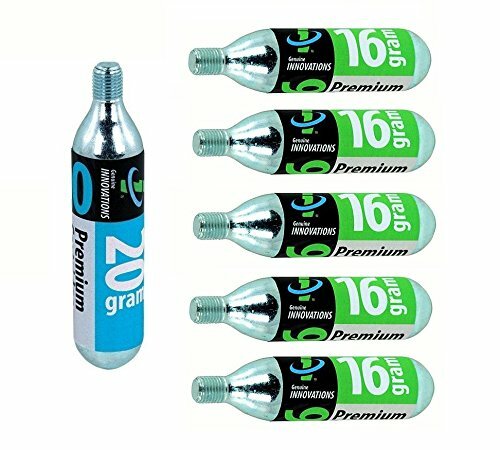 The Genuine Innovations 16 Gram Threaded CO2 Cartridge is one of the most popular sizes, perfect for inflating road or mountain bike tires. Since 1989, Genuine Innovations has been setting the standard for CO2 powered tire inflation. Whether you’re trying to get to work or to the top of a mountain, Genuine Innovations will get you there. 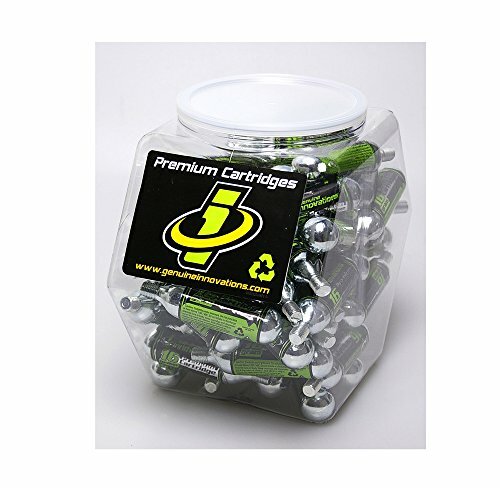 The Genuine Innovations 20 Gram Threaded CO2 Cartridge is designed for your larger volume mountain bikes. The best CO2 cartridge value available. Since 1989, Genuine Innovations has been setting the standard for CO2 powered tire inflation. Whether you’re trying to get to work or to the top of a mountain, Genuine Innovations will get you there. 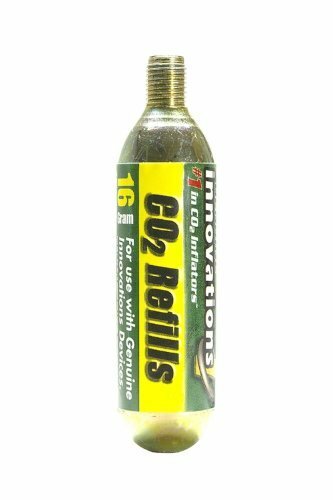 Never worry about deflated tires with this handy CO2 refill pack, great for mountain and road bikes. Compatible with any threaded inflator. 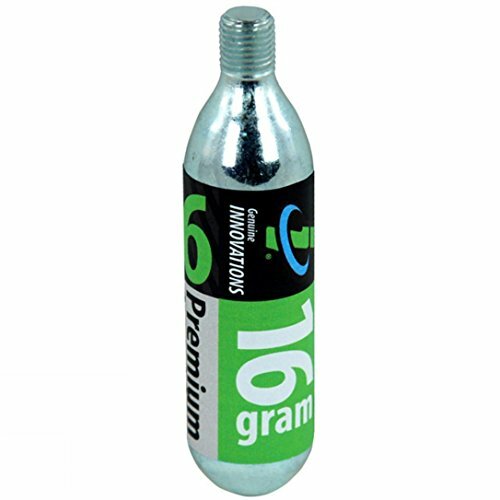 The Genuine Innovations 16 Gram Non-Threaded CO2 Cartridge is one of the most popular sizes, perfect for inflating road or mountain bike tires. Since 1989, Genuine Innovations has been setting the standard for CO2 powered tire inflation. Whether you’re trying to get to work or to the top of a mountain, Genuine Innovations will get you there. The Genuine Innovations Air Chuck Elite Inflator features push-to-inflate technology for fast, easy, and controllable single-handed CO2 bicycle tire inflation. 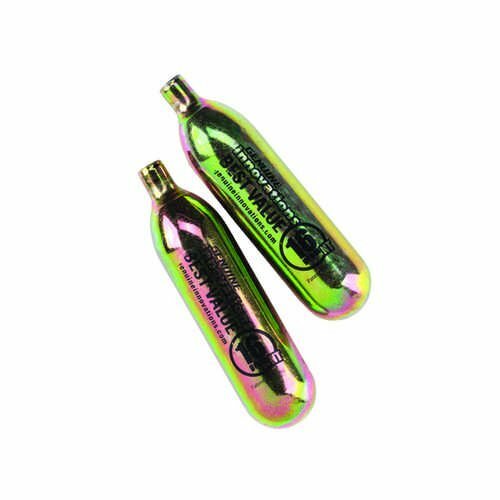 The all metal alloy design only weighs 17 grams, making it the lightest CO2 inflator on the market. Fits both Presta and Schrader valves and works with all Genuine Innovations 12, 16, and 25 gram threaded CO2 cartridges, and Big Air! (Will not work with 45 gram cartridges.) Includes one 16 gram and one 20 gram threaded CO2 cartridge, and features a Limited Lifetime Warranty. 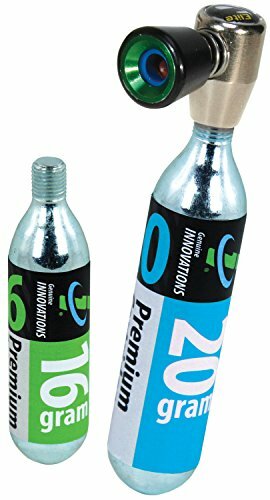 The Genuine Innovations 16 Gram Threaded CO2 Cartridge is one of the most popular sizes, perfect for inflating road or mountain bike tires. This pack of 60 comes in a clear plastic tub. Since 1989, Genuine Innovations has been setting the standard for CO2 powered tire inflation. Whether you’re trying to get to work or to the top of a mountain, Genuine Innovations will get you there. The Genuine Innovations Deluxe Tire Repair and Inflation Wallet packs easily into a pocket or a brief case. 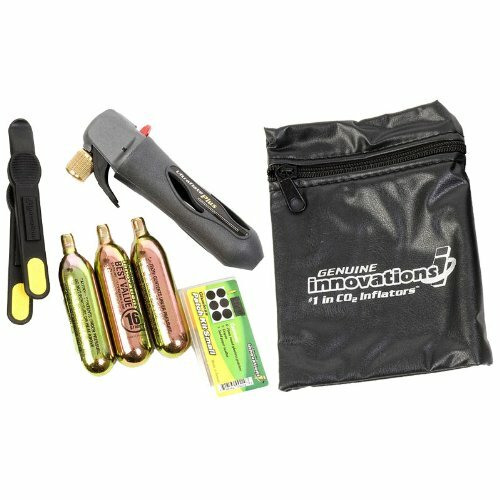 This repair kit features the Ultraflate Plus trigger-controlled inflator, a small patch kit, two tire levers, and three 16 gram non-threaded CO2 cartridges. Also features built-in trigger lock to prevent accidental activation, and comes packaged in a large 5.5" x 6.5" x 4.5" zippered wallet. This deluxe kit offers complete CO2 bicycle tire repair and comes with everything needed to repair and inflate multiple flat tires. 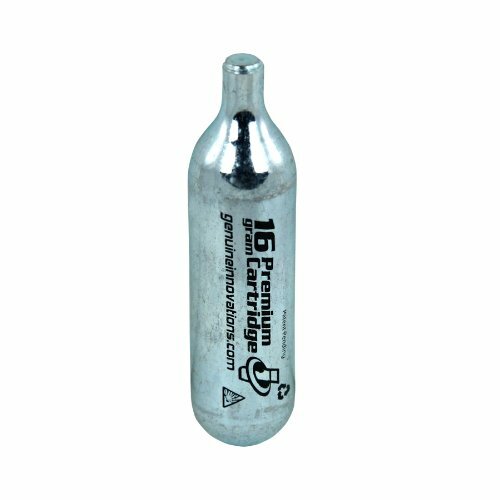 After patching your damaged tube, CO2 inflation is simple: just drop the CO2 cartridge into the cup, screw on the head, attach to valve, unlock the safety latch, attach to the valve stem, and pull trigger to release gas. Compatible with Presta and Schrader valves: push-on for Presta, screw-on for Schrader. Cartridge compatibility: 12, 16, 20, and 25 gram threaded or non-threaded CO2 cartridges, and Big Air. So quick and easy, you’ll be back to riding your bike in no time! Copyright © Wholesalion.com 2019 - The Best Prices On Innovations 16g Threaded Cartridges Online.